B1 | 1 & 2 bedroom apartments for rent at Midwood Station. 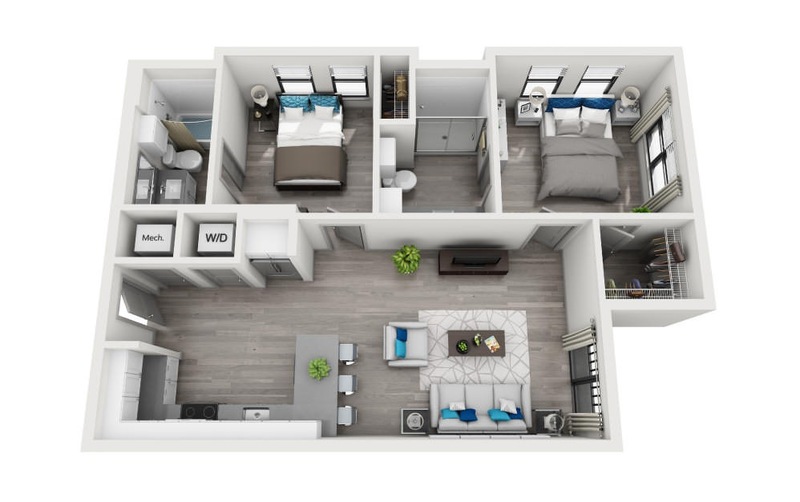 The B1 floorplan is perfect for those looking for a large social space. With a spacious kitchen and bar-top leading into the living room, this space is the perfect hang-out spot for friends.